The horse and rider must work in harmony for optimal athletic performance. If the rider sits to one side, takes more weight on one bottom cheek than the other, collapses to one side or has a tendency to elevate one shoulder this will result in compensatory movement patterns in the horse. 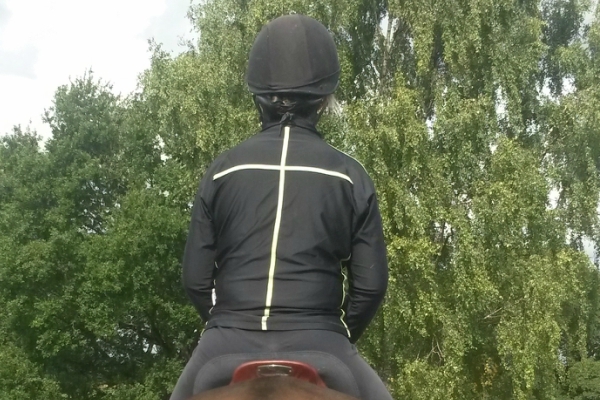 When assessing the biomechanics of the rider on the horse, the rider wears a “visualise jacket” designed by Centaur Biomechanics,. The jacket highlights the rider’s weight distribution, posture and position during different horse gaits and transitions. Video footage of the horse and rider team can be taken to provide rider feedback and a record of the rider’s position on the day. It can be used by both Tracy as a Pilates Instructor and by the client’s Riding Instructor to help them improve their ridden posture and position. A dismounted biomechanics screening can also be performed in the clinic. The riders standing, sitting and movement patterns as well as their co-ordination and balance are assessed. The different muscle groups attaching to the trunk and pelvis are tested for strength and flexibility. After the assessment an individual Pilates based exercise programme is prescribed for home practice. It is recommended that the rider’s exercise programme is regularly reviewed so that appropriate progressions can be added. Franklin balls are air or water-filled plastic balls around 10cm in diameter. They are used by Tracy to help improve the riders’ seat position and body awareness. Riders are also welcome to joint in at one of the organised Pilates Classes. Why not book a Rider Assessment Clinic and share travel costs (minimum of 4 riders). The benefit of working on the Mechanical Horse is that it allows the rider to work on their riding position without worrying about controlling where the horse is going. 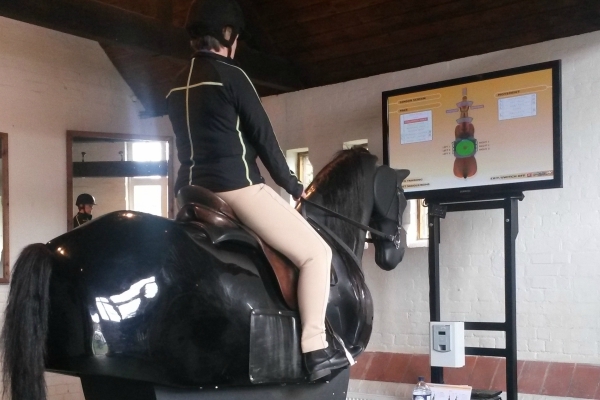 It enables the instructor to provide tactile feedback and correct movement patterns enabling the rider to feel the new position whilst in motion. 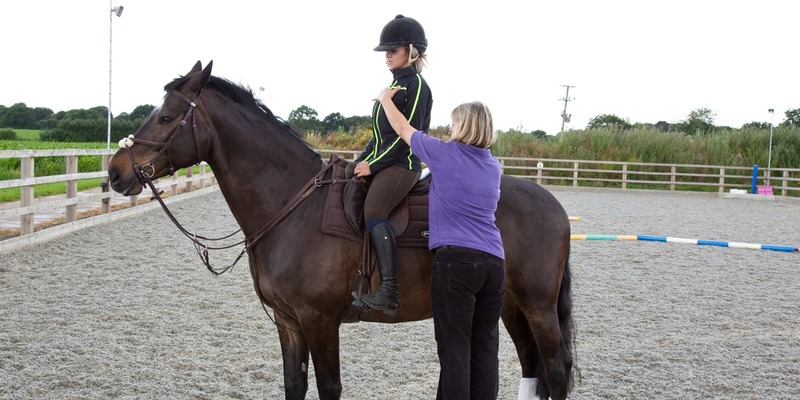 Sessions are regularly held at Cullinghood & Shardeloes Equestrian Centre . Tracy also works with Russell Guire of Centaur Biomechanics, together they provide joint ”Rider Analysis & Rider Pilates Clinics”. These clinics have proved to be very popular. See the latest clinic dates. If you would be interested in finding out about the dates of future clinics or are interested in organising a joint clinic for your yard/riding club please contact Tracy via email to discuss further.